To many, solo travel seems scary. Especially as women we think twice if we really want to hit the road on our own. However, with the right mindset and planning, solo travel can be really exciting and rewarding. It will allow you discover not only new places but also yourself. 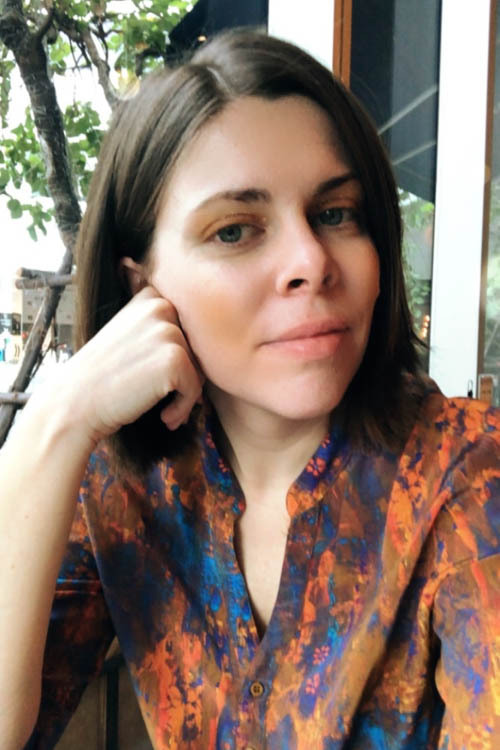 If you plan your first solo travel as a woman, check out my tips below to make the most of your adventure. Go have meals out on your own. Does it feel awkward to sit alone in a restaurant? Probably if you do it for the first time it does. You may think about what other people think about: Do they feel sorry for you because you “do not have any friends”? Do they find you weird? Forget about what other may people think. The more I travelled on my own, the more I realised how many people did the same thing. Whether they are adventurous explorers or business people who have to travel on their own. I think in today’s times there is nothing awkward about enjoying a lunch, coffee or dinner on your own. It shows that you can also appreciate some good food by yourself. That’s all. First step to testing if you are ready for solo female travelling: have coffees and meals alone. 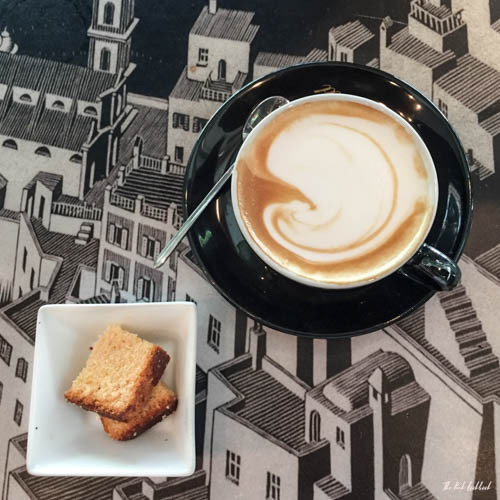 I noticed this beautiful coffee setting during my solo trip in Greece. As a next step, start to make day trips on your own. Explore a city nearby and do it all by yourself. 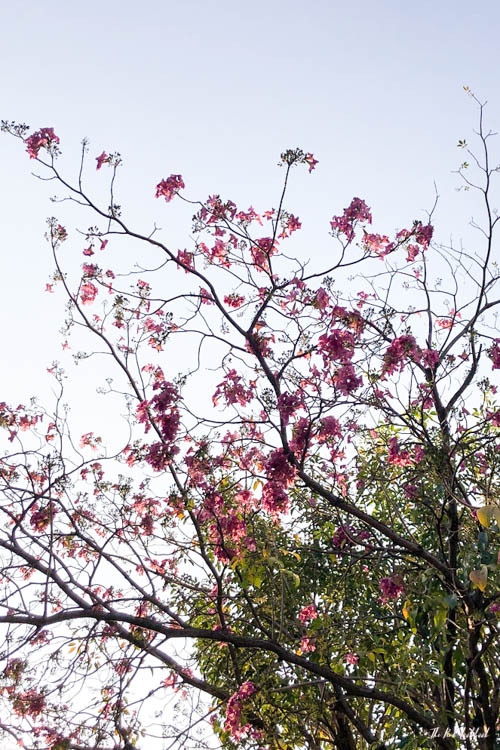 Do you enjoy wandering along the streets on your own? I had to get used to this, but I actually learned to appreciate my surroundings more. If I travel solo, I do not have anybody to talk to – on a side note, I talk A LOT. Being alone forces me to pay attention to what is happening around me, appreciate the moment and focus. I now notice things which I would have probably overlooked if I had been caught up in a conversation with a friend. Do your research: Which countries are safe to travel to as a woman? What are local customs? How safe is the country in general? Always plan solo trips ahead – book your flights and hotels. Travelling on your own for the first time is exciting and scary at the same time. You want to avoid having troubles finding an accommodation at short notice. Believe me, it just puts your mind at ease to know where you will spend the night and when you will head to your next destination. I usually feel alone when I am bored. Therefore, I meticulously plan solo travels ahead – from sightseeing to dining. If you know what you want to do and keep yourself busy, you will not have time to have this strange feeling about whether it is weird or not to travel by yourself. Solo travelling makes me pay attention to my surroundings. 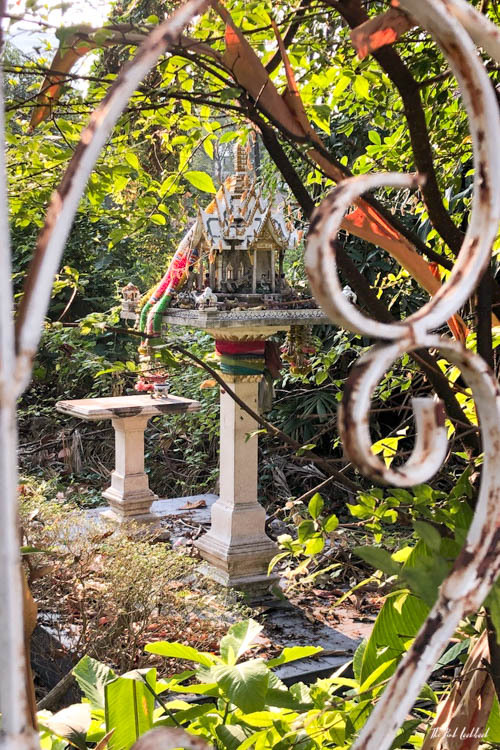 Because I am not distracted by conversation, I tend to notice hidden gems I may have overlooked – just like this spirit house in an abandoned garden in Thailand. Always share your itinerary and flight details with your family or close friends and regularly keep them updated. I usually send all my flight and hotel details to my parents. It sounds paranoid or like a small child, but think about the worst case: something happens to you and nobody bothers because they simply have no idea where you are or what you are up to. I also send regular updates after I landed or when I reached my destination. Even if the worst case (hopefully) never happens, it also helps assure your loved ones. Put yourself in their shoes: they know you travel on your own and are probably a bit worried. It helps them to be understand that you are confident in what you do and avoids stupid comments which may discourage you or prevent you from having a great time. 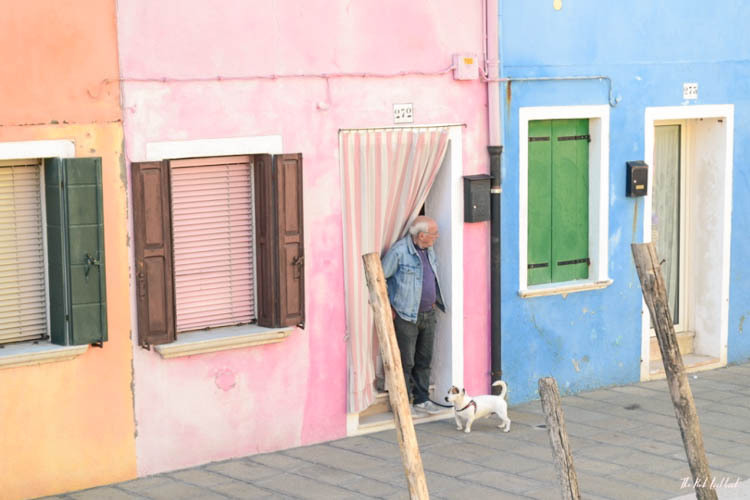 Daily life situations: a local with his dog is peaking out of his house in Burano, Italy. Always have the number of your embassy with you. Before every trip, I check where my embassy is located in the respective country. Even if there is no embassy, there may be representatives who collaborate with your home country. You can also check which other countries are represented (as an EU citizen, check the other member states; the United States usually have a wide network as well). I also carry an “emergency card” with me which is issued by the Austrian government with a 24/7 hotline for travellers. Check if your home country has a similar hotline. In an emergency, you might be overwhelmed and you might not have time to check online. I prefer to have that number with me wherever I go. I personally do not enjoy solo travel for a long period of time. I am OK to explore for a few days on my own. But then I need to have lined up meetings with friends who live in the destination. I also usually reach out to friends in the area and ask if they have friends who have time to meet for a coffee or drink. I am happy to spend a day on my own but it makes it easier to know that I will meet someone in the evening. This strategy has allowed me to make many friends who live across the globe. 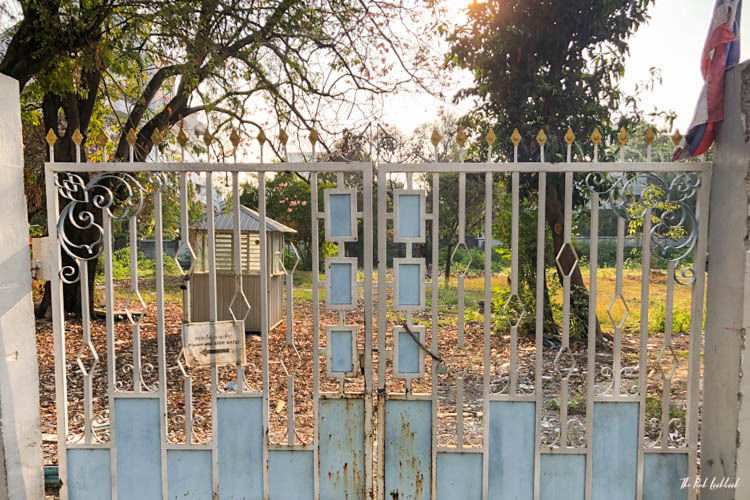 I mentioned this in my post about what I learned by travelling solo: being open-minded is key to having a good time when you travel on your own. And my personal secret ingredient is to be extremely outgoing. It sounds tough. And I have to admit it was not always easy. I used to be really shy and scared to meet new people. But I realised that if I approach people with a positive attitude, they usually appreciate it. A lot of them actually feel the same way and it takes away the awkward moments of silence. And the more confident you are, the less people will doubt you and want to hang out with you. I had to learn how to take selfies or I ask strangers for help to take a picture of me when I travel solo. Open-minded and outgoing does not equal being naive. Be careful about what you tell strangers about yourself. If you just met someone, do not tell them your life story. Also be very careful about sharing your address, contact details or itinerary. Especially as a solo female traveller we have to be even more careful. I have been in quite a few situations where I felt more than uncomfortable. I learned not to show that I am scared. Even if it is very hard, I try to appear extremely confident. Similiar to the point above, the more confident you come across, the less room to “attack”. One trick which also helped me was to call friends and tell them things like “I will be there in a minute” or giving them your location even if I do not have the intention of meeting them (they probably are in a different country actually). But this strategy shows the person who makes you feel uncomfortable that people know where you are. Furthermore, your friends are alert as well. Even if they do not pick up, pretend that you are calling them. If you really feel unsafe, try to enter a restaurant or hotel where there are many people. Worst case, please call or head to the police. Do not forget to look up when you explore. It is tempting to think that there is Wi-Fi everywhere and that we do not need a local Sim-Card. However, please invest this small amount of money in your personal safety. There is nothing worse than being in an emergency and not being able to call anyone. Furthermore, a lot of apps will only work properly when connected to Wi-Fi or data. If you do not want to buy a local Sim-Card, make sure that your phone has roaming in case of an emergency. There are countless travel apps which make your life much easier. Even though I speak multiple languages, I think translation tools are a life saver. Google Translate has an app which not only translates but also reads out in the local language. I also always download maps via Google Maps to be able to access them even if I have no data. Also, GPS works even without data, so you can see where you are headed offline as well. Unfortunately, personalised maps can not be downloaded with all your saved locations.